NEW YORK – The Family Center today announced plans for their spring campaign to grow strong families. A Celebration of Parenting highlights the strength and resiliency of vulnerable families in the New York area. The campaign will start with a kick-off event at Yankee Stadium on May 10, 2011 and will continue with a benefit gala on May 19, 2011, hosted by Yo-Yo Ma at the Stephan Weiss Studio. Parenting Journey Night at Yankee Stadium will recognize the organization with an on-field presentation, acknowledging the work done with families in the community. More than 200 of those touched by The Parenting Journey Training Institute will be in attendance, along with supporters and friends of the organization. An Evening Celebration of Parenting at the Stephan Weiss Studio includes a pre-event reception and performance by renowned Cellist, Yo-Yo Ma and The Knights. More than 250 participants, supporters and friends will gather to celebrate The Parenting Journey Institute’s 15-year history of helping to grow strong families through their programs. For tickets and sponsorship information, please contact Katrina Shaw at 617.628.8815 or kshaw@thefamilycenterinc.org. Tickets to sponsor a family to attend Parenting Journey Night at Yankee Stadium are$150, and individual tickets to An Evening Celebration of Parenting starts at $300, are available now for purchase. Founded in 1982, The Family Center is a private, non-profit 501(c)3 organization that provides family services, including a licensed mental health clinic. The mission is to create safer, more resilient families by supporting them in developing the inner strengths, life skills and networks of resources they need to succeed. 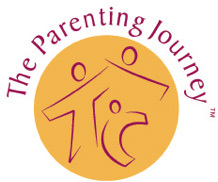 The Parenting Journey Training Institute, created by The Family Center, is a training program for front-line human service providers throughout New England and New York. The Institute has introduced nearly 1,000 workers from more than 400 agencies and school to The Parenting Journey Series, a highly successful parent-centered curriculum. With offices in New York City and Somerville, MA, more information can be found by visiting www.familycenterinc.org or by calling 617.628.8815.